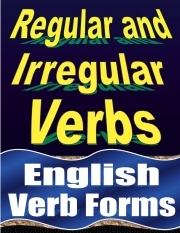 Description of "Regular and Irregular Verbs: English Verb Forms (eBook)"
Base form (simple present) doesn’t end in “e”. We add “-ed” in base form to make the past tense and past participle. Hands on Software Engineering (1000 MCQ E-Book) by Harry Chaudhary. Reviews of "Regular and Irregular Verbs: English Verb Forms (eBook)"